The only senior global track championship of 2018 is upon us as the IAAF World Indoor Championships will be held this week in Birmingham, England. And the meet will start with a bang as all three events in the first session of competition Thursday night will be finals — the men’s and women’s high jump, and the women’s 3000. It’s the latter event that we preview in depth below, and it should be INCREDIBLE. 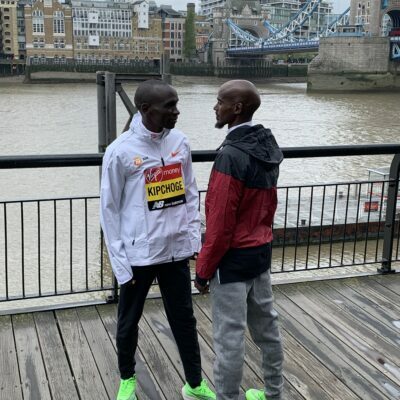 You’ve got the two-time defending champion/world record holder in Genzebe Dibaba of Ethiopia, the 5,000 world champion in Hellen Obiri of Kenya, reigning World Indoor 1500 champion Sifan Hassan of the Netherlands, home-nation favorite Laura Muir of Great Britain, whose 8:26.41 pb is #5 all-time indoors, 21-year-old phenom Konstanze Klosterhalfen of Germany, and American Shelby Houlihan, who has won the last two U.S. titles and will be looking for her first global medal. At least half of the women in the previous sentence will be leaving Thursday’s race without a medal, which should make for some terrific drama. Plus five of the six will be doubling back in the 1500 (Obiri is running the 3000 only). Meet details below, followed by a preview of the race. We’ll have boots on the ground in Birmingham to give you the scoop from the pros, so be sure to check back all week for our coverage. Our special World Indoor section with all of our content can be found here. 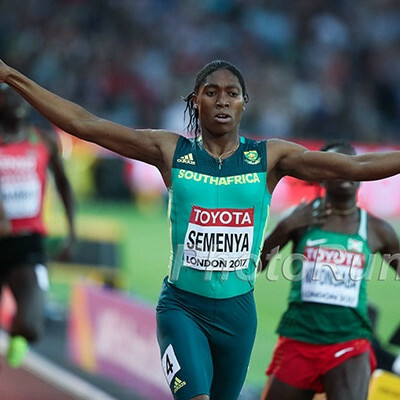 *Both Worku and Seyaum are listed on the entries, but Ethiopia can only enter two women. Since we don’t know who is the alternate, we’ve listed both above. In terms of big-name global talent, this is perhaps the best distance race at World Indoors. Dibaba, Obiri, and Hassan have combined to win 14 Olympic/World Indoor/World Outdoor medals (7 gold, 3 silver, 4 bronze) in their career and all three have shown the crossover skills necessary to succeed in the 3k as each has at least one medal in both the 1500 and the 5000. Muir is one of the host nation’s biggest stars, and while she’s run some ridiculous times (3:55 for 1500 outdoors, 8:26 for 3k indoors), she has yet to win a global medal. Klosterhalfen is one of the world’s top young talents and totally fearless on the track despite turning 21 years old earlier this month. 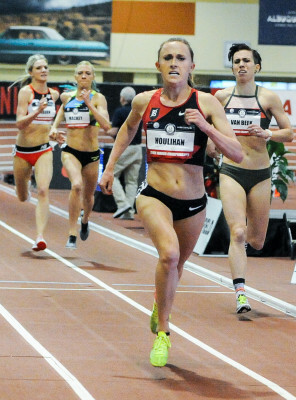 And lurking in the mix is Shelby Houlihan, the 25-year-old American with the big kick. Houlihan has shown the closing speed, both in her 8:36 PR and her 1500/3k double at USAs, necessary to contend with the world’s best. However, a medal against this field would take some doing, but it’s certainly not out of the question for Houlihan. *This would be 22, but Dibaba was DQ’d in a 3k in Dusseldorf in 2012 for cutting in too early. Considering she won by over five seconds, cutting in early did not affect the outcome. 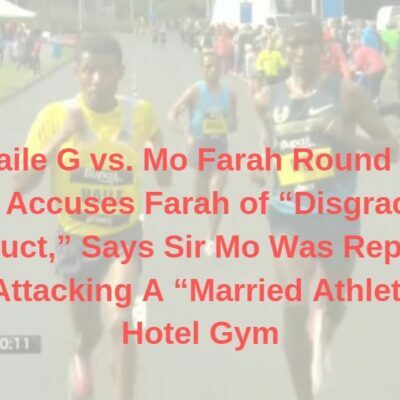 We can’t mention Dibaba without also mentioning the fact that her coach, Jama Aden, was arrested in 2016 after Spanish police raided the hotel that he and his athletes (including Dibaba) were staying at and found EPO. But Aden has yet to be sanctioned by any anti-doping authority, and Dibaba remains free to compete, albeit with question marks. And while Dibaba hasn’t posted some of the ridiculous times that she did in 2014 and 2015 (3:50 1500, 8:16 3k), she did run 3:57 and 14:25 last year and has already run 3:57 and 8:31 this year. 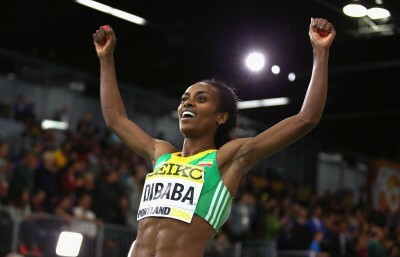 Even with an eight-year winning streak, Dibaba can be beaten in Birmingham. Remember, her last World Championships was a disaster as she finished dead last in the 1500 in London last summer. In addition, this field is far tougher than the fields she faced at World Indoors in 2014 and 2016. Dibaba is a terrific front-runner, but — and this sounds crazy to say considering she has 3:50 speed — she’s not as good when it comes to a kick. Most of the time, that’s not a problem — usually she’s the class of the field and can separate from the pack early in the race. But she may not be able to do that in Birmingham against this field. If you put everyone together in a time trial, Dibaba may well run the fastest time, but to drop studs like Hassan, Obiri, and Muir, you have to be significantly fitter than they are. If Dibaba’s in shape to run in the low-to-mid-8:20s from the front, she’ll win this race. But if she’s not — and we aren’t convinced she is — then she is vulnerable. Both Obiri and Hassan were spectacular in 2017 but we don’t know exactly what version of them we’ll see at Worlds. 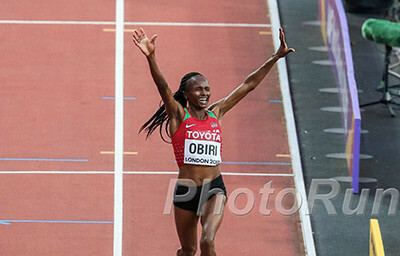 Obiri ran 8:38 in her only 3k of 2018, beating out the red-hot Beatrice Chepkoech in Ostrava on January 25. But in her most recent race, a 1500 in Torun two weeks ago, she could only manage 3rd in 4:05 behind Rababe Arafi and Meraf Bahta. 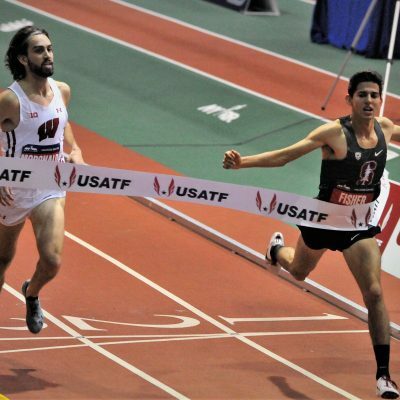 Hassan, meanwhile, has raced just once this year, clocking 8:34 at the UW Invite on January 27. Based on their pedigree, however, they’re the best bets to challenge Dibaba. Muir had a huge year in 2017 indoors, running European records of 2:31 (1k) and 8:26 (3k) and a British record of 14:49 (5k) before completing the 1500/3k double at European Indoors, and though she’s been running well in 2018 (1:59/4:05/8:37), her times haven’t been quite as eye-popping. She’s also shown a tendency to move a bit too hard too early (she did this in both the 2016 Olympic and 2017 World 1500 finals), and while she can’t totally be criticized for that — the main reason she did it was to give herself a shot at gold — it leaves her vulnerable in the home straight. It’s not hard to imagine someone like Houlihan playing the Jenny Simpson role and running Muir down for a medal in the final straight. 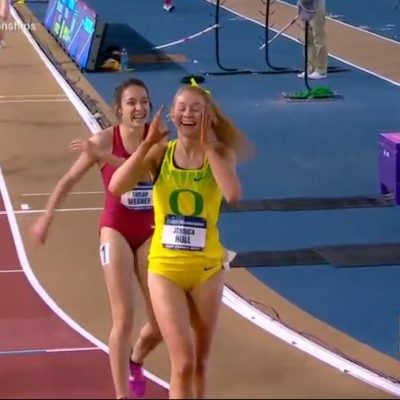 Speaking of Houlihan, she’ll be hoping that this race goes slow, though she showed earlier this year that she can still muster a kick off a fast pace, running the final 200 of her 8:36 PR in 28 seconds. 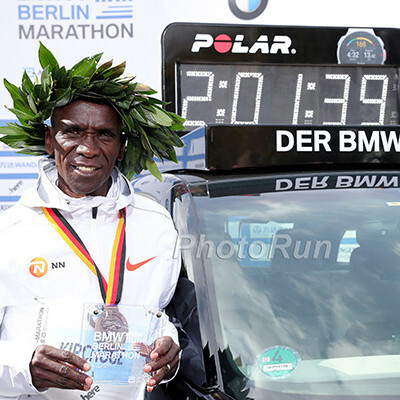 Women like Obiri and Hassan may be able to match this speed, but the way Houlihan has been running, we would not want to see her on our shoulder on the final lap. 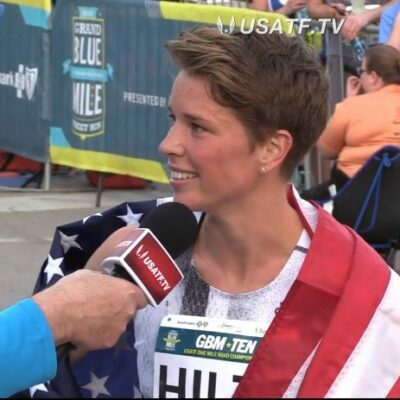 Klosterhalfen has run the exact same time as Houlihan this year (8:36.01). Like Dibaba, she’s someone who likes to attack from the front, and she already showed in her 1500 semifinal in London that she’s not afraid to take it to the world’s best. 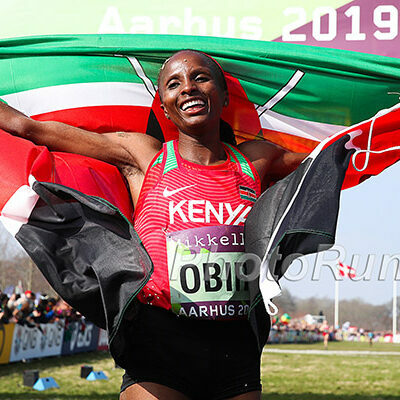 She has also claimed some major scalps at 3000 meters — remember, she beat Obiri in the Birmingham Diamond League last year, running a sensational 8:29. But can a 21-year-old German who has never run in a global final really medal against this field? Before we make a prediction, we also need to mention the second American in the field, Katie Mackey. When Mackey outkicked Emma Coburn to make qualify for Worlds, it produced one of the best stories of the 2018 USA indoor champs, but the fact is that Mackey is an 8:43 runner and to medal, you need to be around 8:30. Now that she’s finally at Worlds, Mackey won’t want to waste the opportunity, but it can be hard to produce another good race after a high like the one she experienced in Albuquerque. LRC prediction: Perhaps it’s stupid to pick against the two-time defending champ/WR holder who hasn’t lost in 8+ years indoors, but that’s what we’re doing. The gap between Dibaba and Obiri/Hassan isn’t wide enough for her to drop them early on, and Obiri and Hassan are both better closers than Dibaba. We’ll take Obiri FTW, with Hassan 2nd and Dibaba 3rd, but wouldn’t be surprised at all if Muir or Houlihan medals. We could see Dibaba trying (unsuccessfully) to drop the field and Houlihan screaming by her in the final straight to steal a medal. Who wins the women's 3k at 2018 World Indoors? Does Shelby Houlihan medal in the 3k at 2018 World Indoors? PS. The women’s 3000 is being run a straight final making the 3000/1500 double doable on the women’s side as the finals are two days apart. On the men’s side, there are heats in both and with the finals just 37 minutes apart, the 1500/3000 double is impossible to do. We are going to hold off on a women’s 1500 preview until the women’s 3000 final is over as many of these studs will be doubling back.